Akbar Notezai, M. (2016). The Dilemma of Pakistan’s Foreign Policy. Retrieved from http://thediplomat.com/2016/08/the-dilemma-of-pakistans-foreign-policy/. Armstrong, K. (2011). A Letter to Pakistan. Oxford: Oxford University Press. Bughio, M. (2014). Determining the Status and Use of Languages Spoken in Pakistan. Sustainable Multilingualism, 4(4), 46-56. Bureau of Democracy, Human Rights and Labor. (2007). Pakistan: International Religious Freedom Report 2007. U.S. Department of State. Retrieved from http://www.state.gov/j/drl/rls/irf/2007/90233.htm. Burki, S. J., & Ziring, L. (2017). Pakistan. Retrieved from https://www.britannica.com/place/Pakistan. Central Intelligence Agency. (2017). The World Factbook: Pakistan. Retrieved from https://www.cia.gov/library/publications/the-world-factbook/fields/2075.html. COMMISCEO Global. (2016). Pakistan Guide. Retrieved from http://www.commisceo-global.com/country-guides/pakistan-guide. Debenham, L. (2016). Etiquette in Pakistan. Retrieved from http://www.traveletiquette.co.uk/etiquettepakistan.html. Department of Immigration and Border Protection. (2016). 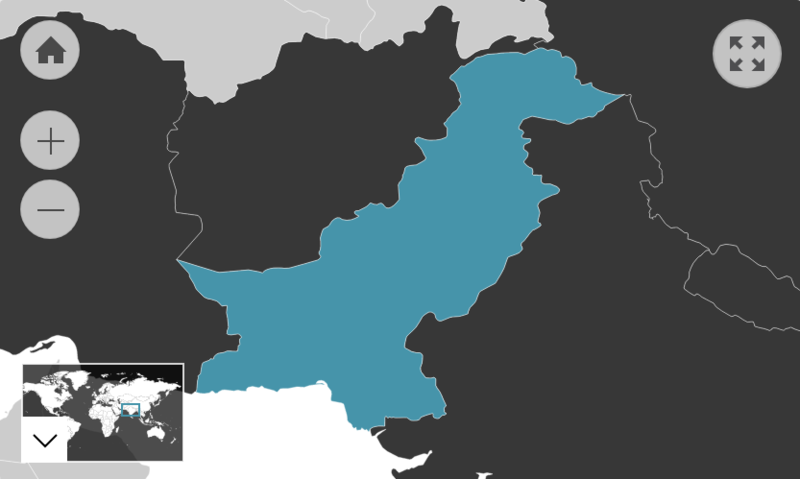 Country Profile - Pakistan. Retrieved from https://www.border.gov.au/about/reports-publications/research-statistics/statistics/live-in-australia/country-profiles/pakistan. Department of Immigration and Citizenship. (2015). Community Information Summary: Pakistan-born. Retrieved from https://www.dss.gov.au/sites/default/files/documents/02_2014/pakistan.pdf. Gilbert, P., Gilbert, J., & Sanghera, J. (2004). A focus group exploration of the impact of izzat, shame, subordination and entrapment on mental health and service use in South Asian women living in Derby. Mental Health, Religion & Culture, 7(2), 109-130. Retrieved from http://karmanirvana.org.uk/cms/wp-content/uploads/2015/11/Focus-groups-and-izzat.pdf. Global Affairs Canada. (2014). Cultural Information - Pakistan. Retrieved from https://www.international.gc.ca/cil-cai/country_insights-apercus_pays/ci-ic_pk.aspx?lang=eng#cn-1. Hussain, R. (1999). Community perceptions of reasons for preference for consanguineous marriages in Pakistan. Journal of Biosocial Science, 31, 449-461. Retrieved from http://ro.uow.edu.au/cgi/viewcontent.cgi?article=1042&context=hbspapers. Immigration and Refugee Board of Canada. (2015). Pakistan: Situation and treatment of Muhajirs, particularly in Lahore, Islamabad and Faisalabad. Retrieved from http://www.ecoi.net/local_link/222874/330352_en.html. International Marketing Advisor. (2015). Business etiquette, language & culture. Doing Business in Pakistan. Retrieved from http://www.pakistan.doingbusinessguide.co.uk/the-guide/business-etiquette,-language-culture/. Iqbal, M. (2016). The Long Term Settlement of the Pakistani Migrants in Australia: Education, Employment, Income and English Language Profiles. Melbourne: RMIT University, School of Global, Urban and Social Studies. Retrieved from https://papers.ssrn.com/sol3/papers.cfm?abstract_id=2747158. Minority Rights Group International. (2016). Pakistan. Retrieved from http://minorityrights.org/country/pakistan/. Pakistan Bureau of Statistics. (2016). Population by Religion. Islamabad: Pakistan Bureau of Statistics. Panhwar, S. H., & Abdullah, A. (2009). The People and the Land of Sindh - Historical Perspective. Retrieved from https://www.scribd.com/doc/13455764/The-People-and-the-Land-of-Sindh. Rahman, T. (1996). Language and Politics of Pakistan Karachi. Karachi: Oxford University Press. University of West Florida. (2010). Resources: End Notes. Retrieved from http://uwf.edu/atcdev/Pakistan/Web/Resources/EndNotes.html#S1. University of West Florida. (2010). Society and Norms: Family and Family Life - Overview. Retrieved from http://uwf.edu/atcdev/pakistan/web/Society/2ASociety.html.